Fairhope, Alabama is consistently voted one of America's favorite cities. Located on the Eastern Shore of Mobile Bay, Fairhope offers a variety of real estate options including bay front, river front, and golf course homes. Use various search styles including interactive maps, aerial imagery and property details to find homes for sale on the Eastern Shore. Search for new listings & recently sold prices for Daphne just North of Fairhope. Fairhope is one of the fastest growing communities in Alabama, alongside nearby Daphne and Foley. This charming community sits by Mobile Bay and there are a number of bay-front subdivisions and homes for sale. Located just across the Bay from Mobile, Alabama, Fairhope is also conveniently located to the coastal communities of Orange Beach and Gulf Shores. People come from all over the country to stay in one of the Gulf-front condos in Gulf Shores or for a luxurious vacation in one of Orange Beach's luxury condos, but those in Fairhope are close enough that they can enjoy a day lounging on the white sand beaches whenever they want. Baldwin County is known for its stunning golf courses and there are a number of golf course communities in Fairhope that offer a comfortable and safe neighborhood for residents of all ages. Looking for a taste of the Old South? Fairhope's historic Point Clear or Fruit & Nut District subdivisions are famous for their beautiful walkways, stunning homes, and historic buildings. 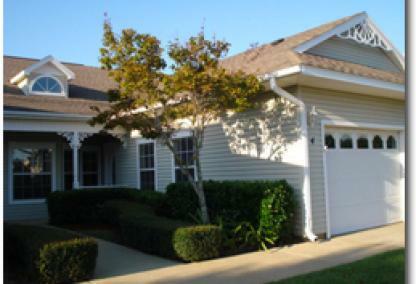 ReadBuilt in 2007, Cottages at Point Clear are luxury townhomes overlooking Lakewood golf course in Point Clear, AL. These condos are available in either 4BR/4BA or 5BR/5BA layouts ranging from 3,500 to 4,000 square feet. The gated community offers residents a large saltwater pool, hot tub, and poolside cabana area. Cottages at Point Clear is minutes from downtown Fairhope shopping, restaurants, and schools. Airey Heights is a downtown community in Fairhope, AL. The area is approximately 300 yards from Mobile Bay and about one half of a mile from Fairhope Ave. There is both residential and commercial real estate in Airey Heights and the community offers great homes for sale. Ann Arbor is located about 4 blocks West of Mobile Bay and 12 blocks South of Fairhope Ave. Ann Arbor is walking distance to Fairhope area attractions and the location alone makes Ann Arbor a viable choice when choosing a Fairhope AL homes to purchase. Arlington Farms is 1 mile South of Hwy. 104 and 3.5 miles East of Mobile Bay. Arlington Farms is a private subdivision close to downtown Fairhope, but a secluded community. These two factors make Arlington Farms a great choice for buying property in Fairhope AL. Atkinson is a small community near Mobile Bay in downtown Fairhope, AL. The homes in this area are walking distance to Mobile Bay and downtown Fairhope which make these homes great options when considering purchasing a home on the Eastern Shore. Audubon Place is approximately a mile East of Mobile Bay and a mile North of Fairhope Ave. The small community is close to most all of Fairhope's area attractions and constitutes some great Fairhope AL homes for sale near the downtown area. Ayshire Estates is located 2.5 miles East of Mobile Bay and approximately 1mile South of Hwy. 104. The secluded community has not had many sales in the home shown above was the last sale and occurred in May 2011. This is subject to change at any time causing Ayshire Estates to produce current listings and make a great opportunity for buyers to find a great Fairhope AL home for sale. Belle Chase is a Fairhope, AL subdivision located just off of Hwy. 98 and less than a mile South of County rd. 48. The homes in Belle Chase are smaller and one of the more economical places in Fairhope, Alabama and that alone makes Belle Chase worth checking out when considering buying a home in Fairhope. Branchwood is in the suburbs of Fairhope, AL and located approximately 2 miles South of Hwy. 104 and 2 miles West of County rd. 48. Click on the image to view current homes for sale in Branchwood with maps, pictures and property details along with current listings. Brickwood subdivision is located in the suburbs of downtown Fairhope, AL and a short drive to Mobile, AL and approximately 40 minutes from the Gulf Shores beaches. Brickwood is a smaller community and the homes are economically priced. Barnwell is an area located in the rural parts of Fairhope, AL less than 2 miles Northwest of Weeks Bay and 3 miles East of Mobile Bay. Barnwell is close to downtown Fairhope, yet secluded and private ans is regarded as having a great selection of beautiful Fairhope, Alabama real estate for sale. Battles Wharf is on Mobile Bay just outside of downtown Fairhope's business district. The community is near Point Clear and Lakewood golf club and several of the areas best dining venues. Battles Wharf contains great homes in great locations making it a sought after community for Fairhope home buyers. 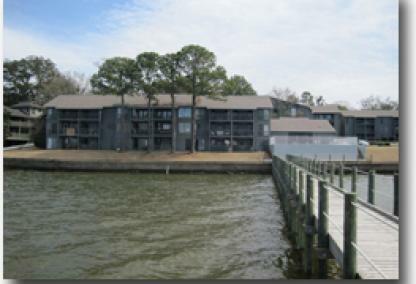 Battles Wharf Estates is located on Mobile Bay in an area of Fairhope referred to as Battles Wharf. The community is a mixture of homes actually on Mobile Bay and properties with views of the bay. Baumhavers is ideally located in the downtown Fairhope area. Mobile Bay is just minutes away and there are a number of restaurants and entertainment venues within walking distance. These houses are older, but they pose a great opportunity for couples or families looking for a project to flip over into their own ideal home at a reasonable price. Bay Pointe has homes that were recently finished (2012) and offers some of the newer homes for sale in this great area of Baldwin County. The school systems and area attractions being so close to Bay Pointe make these homes for sale highly reviewed. Bay View homes constitute a smaller subdivision located approximately one mile South of 104 and one mile East of Mobile Bay near downtown Fairhope, AL. This smaller subdivision's location causes the homes for sale to be highly regarded. Bay Haven is approximately 2 miles South of Hwy. 98 on Weeks Bay. The community is also near Mobile Bay and close to downtown Fairhope, AL. Bay Haven has a variety of great Fairhope AL homes for sale. Bay Meadows is approximately 4 miles West of Mobile Bay and one mile South of Hwy. 98. There are 3 parts to bay Meadows: East, West and Bay Meadows. If you would like to search for a specific area, please go to the bottom of this page or use our detailed search. Bay Place is 4 miles East of Mobile Bay in the Fairhope city limits. The secluded community is also close to Quail Creek golf club and downtown Fairhope. Bay Place's location makes it a very popular community in the Fairhope area. Colonial Acres is located just East of Mobile Bay in Fairhope, AL off of Hwy. 98 and only minutes from downtown. Colonial Acres is also a short drive to Mobile, AL and the beaches of the Alabama Gulf Coast; location for Colonial Acres is definitely a plus. Colony Place is a small subdivision in Fairhope that's approximately 3 miles from Mobile Bay and close to downtown and the numerous boutiques, restaurants and entertainment venues that make Fairhope the special town that it is The Colony Place is in a great location and offers great Fairhope AL homes for sale. Copper Key subdivision features homes with large floor plans and approximately 4 miles East of the bay and very close to downtown Fairhope, AL. The homes in Copper Key are priced in the mid to upper two hundred thousand dollar range which makes it a perfect spot for new families, second homes and primary residences too. Dominion Farms is located just off of Hwy. 98 near Weeks Bay in Fairhope, AL. The community is also near Mobile Bay and downtown Fairhope's business district which contains a vast array of real estate options. Eastern Shore Parkway is the road that parallels Mobile Bay. There is a variety of different types of homes for sale on the Eastern Shore Parkway ranging in size and cost. Eastern Shore Parkway is an expansive stretch of property and contains some of the nicest, largest homes for sale in all of Fairhope, AL; some real estate is water front. Edington Place is located one mile East of Hwy 98 in the Fairhope area. The homes in Edington Place are also near Mobile Bay at approximately 2 miles. Downtown Fairhope and Mobile, AL are a short drive as is Pensacola, FL. Edington Place homes for sale are displayed by clicking the above thumbnail. The Fruit & Nut District of Fairhope is a popular historic section of town close to Mobile Bay. The popular community is close to downtown Fairhope and the cities numerous amenities, most noticeably, the downtown Fairhope pier and wildlife area. 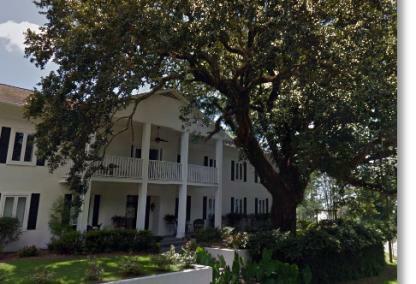 Gayfer Estates Plantation is located approximately 4 miles East of Mobile Bay and is near the intersection of 48 and 181 and close to downtown Fairhope, AL. Gayfer Estates Plantation sits in a great location of Fairhope making the homes a popular option for those relocating. Greythorne Estates is a subdivision just outside of downtown Fairhope, AL and approximately 2 miles from Quail Creek and Lakewood golf club. The homes in Greythorne are just under 4 miles from Mobile Bay to the East. Idlewild is located approximately 4 miles East of Mobile Bay at the intersection of 181 and 48 and is near Quail Creek golf club and downtown Fairhope, AL. The homes are also an easy drive to Pensacola, FL and Mobile, AL. A great feature of Idlewild is their proximity to several local shopping centers, yet the subdivision is seemingly secluded. Lakewood Club Estates is located along Scenic Highway 98 in Point Clear area of Fairhope, AL. This subdivision is on Lakewood golf course near the Grand Hotel and is minutes from downtown Fairhope, AL and constitutes the best homes for sale Fairhope has to offer. 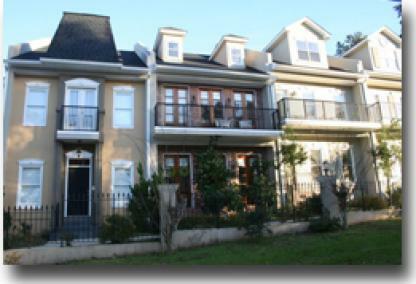 Loyola Villa is located minutes from downtown Fairhope, AL near the Battles Wharf area of Mobile Bay. This upscale community features some of the most luxurious homes in Fairhope and beautiful views of the bay, because of this, Loyola Villa offers a variety of great fairhope AL homes for sale. Montrose is an area between Daphne and Fairhope, AL. The homes are typically close to or on Mobile Bay. The heart of Montrose is near Rock Creek golf club and the community is close to various entertainment venues. Montrose homes for sale in Fairhope, AL consists of some of the nicest homes in all of Fairhope. Montrose Village is an upscale community located near Mobile Bay in between Daphne, AL and Fairhope, AL. The actual address is Daphne, but due to the location, there is info here and the Daphne subdivision sales page. Old Battles Village is located about 2 miles East of Mobile Bay and close to Lakewood golf club. The community of Old Battles Village is in between downtown Fairhope and the Point Clear area of the Eastern Shore. This location alone causes the Old Battles Village homes to be some of the best available. Point Clear is a suburb of Fairhope, AL. Point Clear is home to Lakewood golf club at the Grand Hotel. Many of the homes in the Point Clear area are either on Mobile Bay or have views and at the very least are a short walk to the bay. This are of Fairhope contains some of the most sought after Fairhope, AL homes for sale overall. Quail Creek is a great golf course neighborhood with a wide range of beautiful homes, located off of Highway 181 in Fairhope. There are 3 areas including Quail Creek Estates and Quail Creek Villas to go along with the Quail Creek homes. Rock Creek is the largest golf subdivision in Fairhope, AL and is home to a variety of real estate. The subdivision is located on Hwy. 98 and is approximately 7 - 8 miles South of I-10. Rock Creek homes for sale are listed on the sales page, just click the thumbnail above for current listings. Sandy Ford is located approximately 1 mile East of Mobile Bay just East of Rock Creek golf club. The community is less than a mile from Hwy. 98 and 1.5 miles North of 104. Sandy Ford homes for sale in Fairhope are displayed after clicking the thumbnail above. Sedgefield is just West of Quail Creek golf club and 3.5 miles East of Mobile Bay. The community is close to downtown Fairhope and the homes range in size from 2,500 to 3,500 square feet. This subdivision is a popular option for those looking for a great home for sale in Fairhope AL. Stone Creek is located 2 miles North of County rd 32 and 2 miles East of Hwy. 98 in Fairhope, AL. The subdivision is less than a mile from Quail Creek golf club and close to numerous shopping, dining and entertainment venues thus great options when choosing which Fairhope home for sale is right for your family. The Waters At Fairhope subdivision is 1 mile North of County rd. 104 and approximately 3 miles East of Mobile Bay in Fairhope, AL. The subdivision is fairly secluded, but close to downtown Fairhope and all of its amenities making the Waters some of the most popular Fairhope AL homes for sale in all of town. Village of Montrose is located between Daphne and Fairhope, AL. The community is located on Mobile Bay off of Scenic Hwy. 98. The homes here are close to both downtown Fairhope and Daphne and most of the homes are right on Mobile Bay making these some of the most sought after homes for sale in Fairhope, AL. Woodlands Fairhope is a community near the intersection of Hwy. 98 and 104 and approximately 1 mile East of Mobile Bay. The subdivision is also about one half mile South of Rock Creek which makes explains why the Woodlands are some of the more sought after Fairhope Alabama homes for sale. Song Grove is another one of Fairhope's most popular subdivisions. Many of these houses are done in a French country style that is absolutely beautiful. Downtown Fairhope is just a few minutes away and several restaurants are within walking distance. As part of Baldwin County, Fairhope offers some of the best public schools in the state for the families of Song Grove. These spacious houses are less than an hour from the Gulf of Mexico and half an hour away from downtown Mobile. The homes in Sandy Beach Parkway sit either right on Mobile Bay or are just across the street. With an eclectic mix of gorgeous old houses and luxurious newer ones, there's a little something for everyone here. Less than half an hour from downtown Fairhope, these homes enjoy a peaceful atmosphere in a quiet part of the Eastern Shore. These houses are both within a short drive of Mobile to the north and the Gulf of Mexico to the south. Point Clear is a suburb of one of the Eastern Shore's most popular towns, Fairhope. Many of the homes here sit right on Mobile Bay or are within walking distance. Point Clear is just minutes from downtown Fairhope and about half an hour away from Mobile. Many of the houses here are older, but they have been very well maintained and many have been recently renovated. This is a beautiful neighborhood where you can enjoy daily strolls along Mobile Bay and enjoy spectacular sunsets over the water. Hawthorne Glenn is right in the heart of Fairhope, Alabama, just minutes from Mobile Bay. Most of these newer homes were built in either the craftsmen or traditional style. 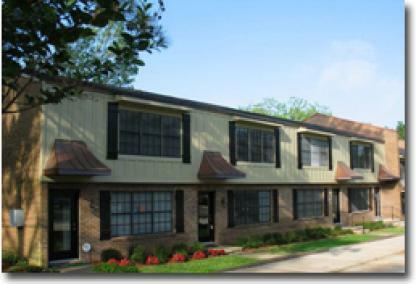 Hawthorne Glenn is within walking distance to a number of restaurants, shops, and the hospital. There is a gated entrance, adding an extra level of privacy to this small community. Magnolia Beach is part of Fairhope's Fruit & Nut District, which is one of the most desirable areas on the Eastern Shore. Large lots surrounded by a number of trees and close proximity to Mobile Bay make this one of the most beautiful subdivisions in Fairhope. Many of these homes are older, but a number of them have been recently renovated and updated. There are several parks and a public boat ramp nearby. This small community borders the Fish River, which travels down to Weeks Bay (connected to Bon Secour Bay). Many lots offer private docks for those with boats. Fish River is about midway between Mobile and Orange Beach, making it ideal for families who like to get away to the beach for the weekend. Fish River is twenty minutes away from downtown Fairhope, so residents enjoy a quiet atmosphere in a rural setting. Fairwood homes are conveniently located to some of Fairhope's best golf courses, including Rock Creek and Lakewood. Downtown Fairhope is just minutes away, as are some of the best public schools in Alabama. Fairwood is about forty minutes away from the Gulf of Mexico and Mobile is just a short drive over the bay. Although some of the houses here are older, they are in great condition and have been maintained well. Fairhope has been consistently ranked as one of the best towns in the state and the peaceful community of Fairwood is the ideal place to enjoy all that Fairhope has to offer. Fairhope Single Tax homes and commercial properties are conveniently located just north of downtown Fairhope and about ten minutes away from downtown Daphne. Orange Beach and the white-sand beaches along the Gulf of Mexico are just 45 minutes away. This older area of town is very beautiful and full of history dating back to 1894 when a group from Iowa came down to start a community that utilized Henry George's single tax theories. Today, residents of this scenic community are just minutes away from Mobile Bay and enjoy some of the best education systems in the state. Ecor Rouge is one of the most spectacular areas in Fairhope. Nestled between Mobile Bay and beautiful Rock Creek, houses and lots here are both spacious and offer spectacular views. Downtown Fairhope is just five minutes away and Mobile is just 20 minutes away. The Rock Creek Golf Club is a little to the north. Highway 98 is nearby, making travel in and out of the area a breeze. With both homes and lots for sale in this area, you don't want to miss your opportunity to own a great bit of land in this beautiful area. Polo Ridge is part of the Lakewood Country Club, so you know the houses here are going to be beautiful and built to last. Just ten minutes from downtown Fairhope, you don't have to go far to enjoy all that this town has to offer, including some of the best public schools in the country. The white-sand beaches of the Gulf Coast are just 40 minutes away. These newer homes were built in the mid-2000s and offer plenty of space for families of all sizes. Shellwood is locally known for its luxurious water-front homes in an ideal location on the Eastern Shore. Just four miles north of Fairhope Pier, many of these houses offer deep water access into Mobile Bay onsite. Downtown Fairhope, with all its restaurants and shops, is just ten minutes away. The school system is second to none and the schools in Fairhope are some of the best in the state. A number of golf courses, including the Rock Creek and Lakewood, are just minutes away. Homes in Ingleside Terrace are spacious and gorgeous on both the outside and the inside. Sitting just five minutes away from Rock Creek Golf Club and downtown Fairhope, you are never far from things to do here. Fairhope is consistently ranked as one of the best towns in the country and part of that is because of the spectacular school system: Fairhope is home to some of the best schools in the country. The beaches along the Gulf Coast are just 45 minutes away, making it easy to plan a last-minute weekend getaway. Riverview is a rural community located just north of Weeks Bay along the Fish River. Riverview is right in between Mobile Bay and Highway 59. This community is less than half an hour away from downtown Fairhope and all of its shops and restaurants. Because this is a rural community, it is perfect for those hoping for a quiet place to settle down in without having to isolate themselves from the comforts of a bigger city. Richmond Square is the perfect spot for a family looking for a great place to settle down in one of the most desirable towns in the country. The Fairhope Recreation Center -- which includes parks, sports fields, and a community pool -- is within walking distance and downtown Fairhope is only a five-minute drive away. The Fly Creek Marina is also very close, which is perfect for those who enjoy spending weekends out on the water and have to store their boat somewhere. The schools in this area are some of the best in the state and and the community offers the perfect environment to raise a family in. River Station is still a new development in Fairhope. Located just a few minutes east of downtown Fairhope, River Station offers spacious lots, some of which are wooded, and beautiful brick homes in a quiet area. There is a community pond and well-lit sidewalks throughout this subdivison. Fairhope is one of the most desirable places to live in the country and River Station promises to be one of the most popular developments in the area. Long Pines Estates was originally established in 2007, but there are still many opportunities to build your own home or buy one of those still under construction. These homes are built in the traditional or craftsman style and offer plenty of space. This community is less than an hour from the Gulf of Mexico and downtown Fairhope is just minutes away. The schools in this area are second to none, which is perfect for families with school-aged children. The homes in Keeney's River View subdivision offer beautiful views of the water with spacious living areas. Located near both Lakewood and Quail Creek golf courses, residents of Keeney's River View can easily spend their morning out golfing and then their afternoons out on the water. There is a mix of both older and newer houses in this area and many of the older ones have been updated recently. The Gulf of Mexico is less than one hour away from Keeney's River View. Jubilee Point homes sit very close to Mobile Bay, so they are perfect for families who love being close to the water. Downtown Fairhope is just fifteen minutes away and Gulf Shores is 25 mintues away. This quiet area is close to Highway 98, so travel to nearby major cities is easy. There are both houses and lots for sale in this area, so whether you're looking to move in as soon as possible or to build your own house, this is an ideal area in a beautiful part of coastal Alabama. Bay Meadows East is part of a larger community that is situated just north of Quail Creek, one of Fairhope's most popular golf clubs. Bay Meadows East is less than five miles away from Mobile Bay and about half an hour away from downtown Mobile. This is a nice, quiet community that offers an ideal place to raise a family. Like Bay Meadows East, Bay Meadows West is part of a larger community north of Quail Creek. 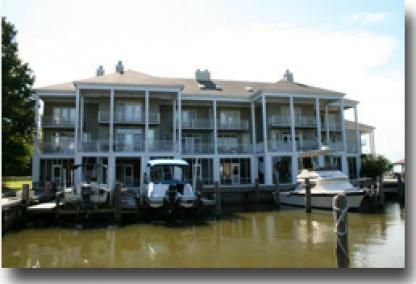 Close proximity to Mobile Bay make this a great choice for families who have a boat or other water sport equipment that they like to use on the weekends. The nearby Quail Creek Golf Club offers memberships that residents of Bay Meadows West (and East) can sign up for, making it easy to enjoy a round or two of golf with friends and family on the weekends. Just ten minutes from downtown Fairhope, the Canebreak subdivision is just minutes from Mobile Bay and about half an hour away from downtown Mobile. To the west of Canebreak is the Lakewood Country Club, where residents can apply for a number of membership packages. Canebreak is also less than an hour from the Gulf of Mexico, making weekend trips to the beach quick and easy. Carya Pointe Estates are just a little bit north of the Quail Creek Golf Club. Mobile Bay and downtown Fairhope are just a few minutes to the west, so you never have to go far to find great restaurants, shops, parks, and entertainment venues. Beautiful white-sand beaches on the Gulf of Mexico are less than an hour south of Carya Pointe Estates and Mobile Bay is just a few minutes west of this subdivision. Those who enjoy an older, more traditional neighborhood will love Central Park! Some of these houses were built way back in the 1950s. While most are well-maintained, some offer a great fixer-upper opportunity in one of the most beautiful areas of Fairhope. Homes in Central Park are within easy walking distance to some of Fairhopes best restaurants and shops and Mobile Bay is just minutes away to the west. Charbon Woods is located just off Main Street in the Montrose area of Fairhope, which sits within walking distance of Mobile Bay. This is another quiet, somewhat secluded area of town. Many of the lots are heavily wooded and have large back yards that are perfect for the family dog and kids to play in. Downtown Fairhope is just minutes away, with a number of restaurants, parks, and shopping centers. This private neighborhood, established in the 1990s, is easily one of the most beautiful in the city. With traditional and ranch style homes nestled in an area full of huge live oak trees just minutes away from Mobile Bay, you'll never get tired of the fresh air and relaxed atmosphere in Country Woods. Downtown Fairhope and all of its local restaurants, parks, schools, and shopping centers is just minutes away. The beautiful homes at Covered Bridge Estates are just off Section Street and minutes away from downtown Fairhope. As part of Baldwin County, Fairhope enjoys some of the best schools in the state, so families at Covered Bridge Estates know their children are getting a high-quality education. This is a beautiful area with a lot of trees and flowers throughout the summer and Mobile Bay is just a few minutes to the west. 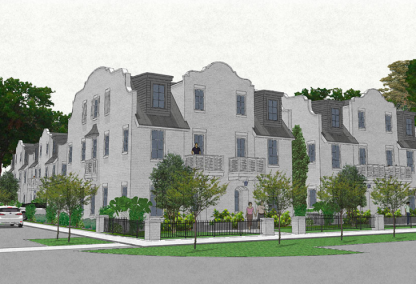 The cottage-style homes in the D S Brown subdivision are located in the heart of Fairhope. With Mobile Bay and a number of downtown restaurants and shops all within easy walking or biking distance, you don't have to go far to enjoy the fresh air and beautiful scenery that this small town is known for. The houses in this historic area of town have a lot of character and the neighborhood is absolutely stunning. The neighborhood of Deep Tree Forest sits in the northwest area of downtown Fairhope. Just half an hour away from Mobile, this neighborhood is perfect for those who work in the larger city, but want a much quieter, relaxing place to live. Mobile Bay and the Gulf of Mexico are both easy to get to and Fairhope itself offers a variety of different shops, parks, restaurants, and entertainment venues for residents to enjoy year-round. De Ferriet Court is one of the most popular neighborhoods in Fairhope, right by Mobile Bay and the Magnolia Beach area. Some of these houses were built back in the 1970s, but there are more modern options in the area, as well. The average house here has three to four bedrooms with 1,400 to 1,600 square feet of space. De Ferriet Court is minutes away from downtown Fairhope's restaurants, shops, and schools. 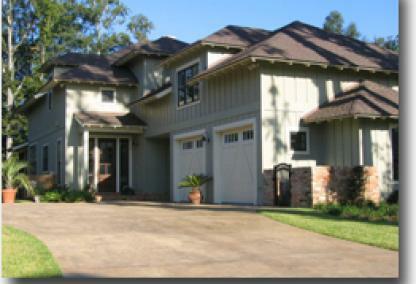 D'estrehan is an centrally located Fairhope neighborhood boasting a mix of craftsman, ranch, and traditional houses. Most of these houses range between three to five bedrooms with a total of 2,000 to 3,300 square feet of space. This is a gorgeous little community just minutes away from Mobile Bay, downtown Fairhope's mix of local restaurants and shops, and less than an hour from the white-sand beaches of the Gulf of Mexico. East Gate sits just off of Fairhope Avenue, minutes away from Mobile Bay. The houses here typically have two-, three-, or four-bedrooms and range in size from 1,240 square feet to 2,100 square feet. East Gate is not far from downtown Fairhope, with its eclectic collection of unique shops and restaurants, as well as numerous parks and outdoor activities. Just five minutes away from downtown Fairhope and the Lakewood Country Club, Fairfield is ideally located in one of the most convenient areas of Fairhope. Mobile Bay is just a few minutes to the west and the white-sand beaches of the Gulf of Mexico are about forty minutes south. Fairhope is quickly gaining recognition as one of the most ideal places to live in the country, with beautiful scenery, unique shops and local restaurants, and convenient proximity to the larger city of Mobile and the famous beaches along the Gulf of Mexico. One of Fairhope's hidden gems, Fairfield Place is an idyllic little neighborhood full of old oak trees and a small lake that several homes sit on. Most homes have three to four bedrooms and 2,200 to 3,000 square feet of space. Residents of this neighborhood will tell you that it is the best choice for anyone thinking of moving to the Fairhope area. On of Fairhope's finest upscale neighborhoods, Fairfield Pointe Village offers a variety of styles of houses, from French country to traditional to cottage to townhomes and everything in between. Residents of this neighborhood enjoy a private shared fishing pier and gazebos around the lake that are perfect for relaxing in during the hot summer afternoons. Most houses are three to four bedrooms and range in size from 2,100 to 3,200 square feet. Fairfield Pointe Village is just minutes away from Mobile Bay and downtown Fairhope. The neighborhood of Falls Creek is just south of the popular Quail Creek Golf Club and minutes away from other golf courses in the area, such as Rock Creek and Lakewood. Falls Creek is perfect for those who love the outdoors thanks to its proximity to Mobile Bay and the white-sand beaches of the Gulf of Mexico, as well as the national parks and reserves by the coast. Fairhope itself is considered one of the best small towns in the country, boasting an amazing school system, unique boutiques, and popular local restaurants. Just off of Highway 98, Flying Creek is a little ways south of the Rock Creek Golf Club and Mobile Bay is a short drive to the west. Close proximity to downtown Fairhope means you never have to go far to find beautiful little boutiques, fine dining, and entertainment all year long. The schools in this area are some of the best in the state, as well. The Gulf of Mexico is less than an hour south, so weekend trips to Orange Beach or Gulf Shores are quick and easy. The James T Boggs subdivision is within walking distance to some of Fairhope's best restaurants and shops, sitting northeast of the major downtown area. Mobile Bay is a few minutes away and the larger city of Mobile is about half an hour away. Beach lovers don't have to go far to enjoy some of the best beaches in the country: the Gulf of Mexico and popular Gulf Shores beaches are less than an hour away. The Huntington Woods subdivision is just off of Greeno Road south of downtown Fairhope. The popular Lakewood Country Club is a few minutes southwest of Huntington Woods and offers a range of memberships that residents of this subdivision can enjoy. With Mobile Bay to the east and the Gulf of Mexico less than an hour south, you can easily spend your weekends out on the water. When you prefer staying on dry land, however, Fairhope is home to a number of unique restaurants, boutiques, and entertainment venues that are all about five minutes away. Sitting just a few minutes away from downtown Fairhope, Jackson Place is a quiet neighborhood with a lot of trees and plenty of places to walk the dog or explore with the kids. The Quail Creek Golf Club, which is one of Fairhope's most popular golf courses, is nearby and downtown Fairhope is only a few minutes away. Orange Beach and Gulf Shores, two of the most famous areas on the Gulf Coast, are less than an hour away. Keeney's River Front is a small, somewhat secluded community about seven miles away from downtown Fairhope and eight miles away from Mobile Bay. This community is on the banks of Fish River, which branches out from Weeks Bay to the south. Although this community is not directly in downtown Fairhope, a short drive brings you to a number of the area's best golf courses, restaurants, shops, and entertainment venues, not to mention the white-sand beaches of the Gulf of Mexico less than an hour away. Magnolia Commons is a newer neighborhood in central Fairhope. Established in 2012, most of these cottage-style houses range in size from 1,270 to 2,200 square feet with three to five bedrooms. Fairhope is ideal for families, boasting one of the best public school systems in Alabama, freckled with parks, and enjoying a relaxing atmosphere in a safe environment. Miller's Crossing is several miles outside of downtown Fairhope and just east of the Lakewood Country Club. Most of the houses here have three to four bedrooms and 1,500 to 2,100 square feet of space. The beaches in Gulf Shores and Orange Beach are less than an hour away to the south and the city of Mobile is less than an hour northwest of Miller's Crossing. 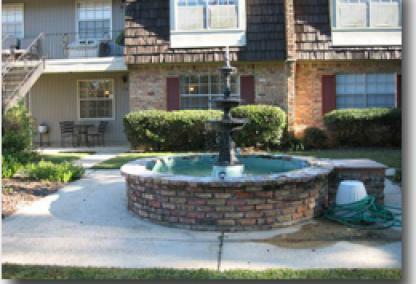 Montrose Woods is very close to the Rock Creek Golf Course, one of Fairhope's most popular courses and communities. Downtown Fairhope and downtown Daphne are about ten minutes away and the nearest airport in Mobile is less than an hour away. This is a quiet community that families love because of the beautiful scenery and safe environment that Fairhope is known for. The North Station subdivision is about three miles east of the 181, just a few minutes away from downtown Fairhope. This residents of this tiny community love their neighborhood, with an abundance of shade trees and plenty of sidewalks for taking walks and enjoying the sunny weather. Most houses here were built in the traditional or craftsman style, starting at 1,800 square feet and going up from there. The Point Clear Polo Club subdivision is about ten miles south of downtown Fairhope. The Lakewood Country Club is a few minutes north of this neighborhood and the beaches of Gulf Shores are about 35 minutes away. Point Clear Polo Club is well-loved by residents for its peaceful atmosphere and beautiful scenery. Just south of the Lakewood Country Club, Point Clear Woods is a quick ten-minute drive away from downtown Fairhope. Mobile Bay is only a couple of minutes west of Point Clear Woods and offers a great spot to go fishing or just take a walk along the shore. There are a lot of great schools, restaurants, and entertainment venues in this area of Fairhope and the Gulf Coast beach towns of Gulf Shores and Orange Beach are only 35 minutes away. River Mill is directly north of the popular Quail Creek Golf Club, which offers numerous memberships to residents of the area. River Mill is four miles east of Mobile Bay and the Fairhope Pier, where you can spend the day fishing and looking out over the water. Fairhope is widely considered one of the best small towns in the country, with great schools, a variety of restaurants and shops, and close proximity (under and hour away) to Orange Beach and Gulf Shores on the Gulf of Mexico. Spring Lake sits two miles east of Mobile Bay. This subdivision is close to Fairhope's middle and high schools, which are part of one of the best school districts in Alabama. Spring Lake is less than an hour away from Mobile to the north and Gulf Shores and Orange Beach to the south. Fairhope is considered one of the best small towns in the country, and when you look at the beautiful public parks, unique shops, and beautiful views of the Bay, it's easy to see why. Stillwood at Point Clear is a few minutes south of downtown Fairhope, but is very close to the famous Lakewood Country Club. Fairhope is homes to some of the best schools in the entire state and is considered to be one of the best small towns in the country. The famous white-sand beaches of the Gulf of Mexico are less than an hour away in Gulf Shores and Orange Beach. Summer Lake is popular in the Fairhope area for its natural beauty. Large live oaks, two lakes, and lush landscape make this neighborhood a nature lover's dream. Summer Lake is close to Fairhope's middle and high schools and downtown Fairhope is just a few minutes away. Orange Beach and Gulf Shores, with award-winning beaches and restaurants, is less than an hour south of Summer Lake. The Magnolias subdivision sits close to downtown Fairhope, popularly considered on of the best small towns in the country. The school system in this area is one of the best in Alabama and there are a number of public parks, a fishing pier, fine dining, and one-of-a-kind boutiques all within a few minutes of The Magnolias. Orange Beach and Gulf Shores are less than an hour away and Mobile Bay is just a few minutes west of The Magnolias. 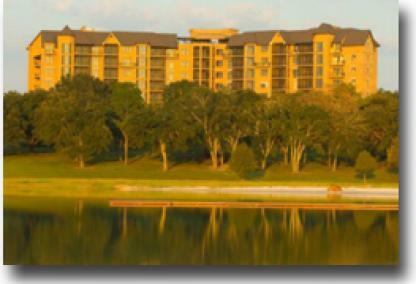 The Meadows at Point Clear is just down the road and across the street from the Lakewood Country Club. Downtown Fairhope is about ten minutes north of The Meadows, with numerous boutiques, restaurants, the public fishing pier, parks, and entertainment venues. Less than an hour's drive south brings you to Orange Beach and Gulf Shores, home of some of the best beaches in the world. Fairhope is considered one of the best small towns in the country, due in part to its proximity to the Gulf of Mexico, stellar school district, and the natural beauty of the area. The Pines Fairhope is just north of the downtown area. These spacious houses typically start at 2,100 square feet and go up to 2,500 square feet with two to four bedrooms. Mobile Bay is only a little way to the west of The Pines and the award-winning white-sand beaches of Gulf Shores and Orange Beach are less than an hour south. Fairhope is home to some of the best schools in the state, an eclectic mix of fine and casual dining restaurants, and one-of-a-kind boutiques. Volanta is one of the oldest neighborhoods in Fairhope and that historical charm is why most people fall in love with the place right away. Heavily wooded lots allow residents here a good deal of privacy. Homes usually start at about 1,100 square feet and go up from there. Both the Fly Creek Marina and Fairhope Yacht Club are nearby and downtown Fairhope, with spectacular schools and an eclectic mix of restaurants and boutiques, is just a couple minutes south. Part of the larger community of Colony at the Grand, Watershed sits close to the Lakewood Country Club and the Battle Wharf area. This is an exclusive gated community off of Scenic Highway 98, with only ten houses total. Watershed residents enjoy the upscale amenities at The Grand, such as tennis courts and a fitness center. Downtown Fairhope is about ten minutes north of Watershed and the Gulf Shores and Orange Beach area is less than an hour south. The Woodlawn community is about five to ten minutes away from downtown Fairhope and ten to fifteen minutes away from downtown Daphne, meaning it is ideally located between these two scenic towns. Numerous restaurants, shops, parks, and schools surround Woodlawn and it is an ideal place to raise a family. Orange Beach and Gulf Shores are less than an hour away, with beautiful white-sand beaches and many other famliy-friendly activities everyone can enjoy. Mullet Point Court sits right on Mobile Bay just south of the Barnwell area. Mullet Point Court is about ten minutes from downtown Fairhope. This beautiful area is full of homes with big personalities and many heavily wooded lots. They are perfect for those who want to be close to the conveniences of a big town without having to live in an overcrowded area. Orchard Four is located just outside of the Point Clear area, which is where you'll find the popular Lakewood Country Club. Downtown Fairhope is only ten minutes away, so you don't have to go far to find fine or casual dining, shopping centers, parks, and amazing schools. Orange Beach and Gulf Shores are both less than an hour away. Greenwood Park sits right in the heart of Fairhope, Alabama. This beautiful area has been widely praised for its top-notch schools, beautiful landscape, numerous restaurants and shops, and its convenient proximity to Orange Beach and Gulf Shores. The city of Mobile is about half an hour away, just across Mobile Bay, which is an easy commute for those who work in the city but prefer living in a small town. Old Orchard Ests is just west of Highway 98, about ten minutes south of downtown Fairhope. The coastal cities of Orange Beach and Gulf Shores, known for beautiful white-sand beaches, are less than 45 minutes away. The Lakewood Country Club is close by and offers a variety of memberships to residents. Highland Bridges sits between Clay City and the Point Clear area. Downtown Fairhope and Daphne are just a few minutes north of Highland Bridges. The Lakewood Country Club is a little ways northwest of this subdivision and the Orange Beach and Gulf Shores areas are less than an hour south. The convenient location of Highland Bridges means residents never have to go far to find a range of golf courses, beaches, restaurants, schools, and parks. Ridgewood Estates sit very close to Mobile Bay and is only about 25 minutes away from Orange Beach. From Ridgewood Estates, it is easy to hop onto the I-10, which makes traveling to Pensacola, Florida or Mobile, Alabama quick and easy. As part of Baldwin County, residents of Ridgewood Estates have access to some of the best public schools in the state. Hollowbrook is a few minutes northeast of downtown Fairhope near the intersection of Highway 104 and Highway 181. This small subdivision has plenty of sidewalks for families to take daily walks or to ride bicycles on. The schools in Fairhope are some of the best in the states and the downtown area is full of shops, restaurants, parks, and entertainment venues. Hunter's Glen is just a few minutes south of downtown Fairhope and less than an hour north of Orange Beach and Gulf Shores. Hunter's Glen is close to the Quail Creek Golf Course and you can reach four others within fifteen minutes. Fairhope is popularly considered as one of the best small towns in the country and Hunter's Glen is located in one of the most beautiful areas of the Fairhope area. Mobile Bay separates Mobile, Alabama from the Eastern Shore area, which is comprised of the cities of Spanish Fort, Daphne, Fairhope, and others. Houses sitting right on the bay are typically raised on stilts to avoid flooding are are surrounded by trees. The Mobile Bay area is considered one of the most beautiful in coastal Alabama and Baldwin County has been recognized for its exemplary public schools, small town vibe, and number of shops, restaurants, and entertainment venues. Rosehill is an upscale community minutes away from Mobile Bay to the west and downtown Fairhope to the north. These are larger houses, typically starting at 4,500 square feet. They are newer houses, built after 2000. The Lakewood Country Club is nearby, with lush landscaping and a first-rate golf course. Downtown Fairhope, with a number of restaurants, shops, and entertainment venues, are just a few minutes north of Rosehill. The community of Sans Souci sits very close to Mobile Bay, just south of the Rock Creek Golf Course. These houses are on the larger side, typically rounding in at around 4,000 square feet and with three or four bedrooms. Downtown Fairhope is only a few minutes away and there you can eat out at a number of local restaurants, hit up some of the boutiques, or just enjoy a day strolling around the tree-lined streets. Lexington homes are located just west of Clay City and is about equal distance from Lakewood Country Club and Quail Creek Golf Course. Downtown Fairhope is a few minutes north, with numerous shops, restaurants, parks, and entertainment venues to explore. Fairhope is consistently ranked among the top best small towns in the country, due in part to the stunning scenery, stellar school system, and close proximity to the gorgeous beach communities of Gulf Shores and Orange Beach. Plantation Pines is an exclusive Fairhope community located just off of Highway 98. With a stunning plantation-style entrance, beautifully wooded lots, and spacious houses, it is easy to see why this is one of the most desirable subdivisions in Fairhope. This custom-built homes range from 2,500 to 4,000 square feet with three to five bedrooms. This peaceful neighborhood is less than an hour away from the famous white-sand beaches of Gulf Shores and Orange Beach. Sherwood Forest is a beautiful little neighborhood sitting near the Fish River. There are both older and newer houses here in a variety of styles. These houses tend to sit on large lots with one or more acres of land, some of which are directly on the river. They range in size from 1,100 to 3,500 square feet and two to four bedrooms. Both Orange Beach and Gulf Shores are less than 45 minutes away and downtown Fairhope is just a few minutes north of Sherwood Forest. Marca Lane sits very close to downtown Fairhope, with numerous shops, restaurants, parks, and schools within easy distance. Mobile Bay is just a few minutes to the west and the beach towns of Gulf Shores and Orange Beach are less than an hour south. The homes on Marca Lane offer plenty of space, typically ranging from 2,300 to 2,700 square feet with three or four bedrooms. Porch Place sits just north of downtown Fairhope, Alabama. Mobile Bay is just a few minutes west of Porch Place and the beaches of Gulf Shores and Orange Beach are less than an hour away. There are a number of golf courses all within a few minutes of Porch Place, as well as parks, restaurants, schools, and entertainment venues. Silverwood is just a few minutes southeast of the Lakewood Country Club and the Point Clear area. Downtown Fairhope, where you can find numerous shops, restaurants, parks, and entertainment venues, is also just a few minutes north of Silverwood. Gulf Shores and Orange Beach are both less than an hour away. Silverwood is very close to the new middle and high schools in Fairhope. Moloki Village sits right on Mobile Bay between Battles Wharf and Magnolia Beach. Downtown Fairhope is just a little over one mile away and boasts some of the best schools in the state. The Lakewood Country Club is a few minutes south of Moloki Village and the beaches of Orange Beach and Gulf Shores are less than 45 minutes away. Point Clear Estates sit just off Scenic Highway 98, south of the Lakewood Country Club. Downtown Fairhope is just a few minutes north of Point Clear Estates and the Orange Beach and Gulf Shores area is less than 45 minutes south. With both Mobile Bay and the Gulf of Mexico so close, you'll easily be able to spend a lot of free time out on the water and enjoying the beautiful sunny weather that the Gulf Coast is known for. The neighborhood of Pleiades is just north of downtown Fairhope and west of the Rock Creek Golf Course, which offers a number of memberships to those who enjoy golf. These houses are very close to Mobile Bay, where many residents like to spend their weekends either out on their boat, fishing, or just taking a stroll along the shore. The schools in this neighborhood are some of the best in the state and the white-sand beaches along the Gulf of Mexico are less than an hour away. Stuart Park is a newer subdivision that was first established in 2014. These D. R. Horton homes come in a variety of sizes and styles, including traditional and craftsman. The homes range in size from 2,000 to 3,200 square feet with three to five bedrooms. The Lakewood Country Club is a few minutes west of Stuart Park and downtown Fairhope is a few minutes north. Mary Ann Beach sits right on Bon Secour Bay, with Weeks Bay to the east and Mobile Bay to the northwest. Lots here are heavily wooded and some are right on the bay. Downtown Fairhope is a few minutes north of Mary Ann Beach and both Gulf Shores and Orange Beach are less than 45 minutes south. The Lakewood Country Club, with one of the best golf courses in the area, is also just a few minutes north. Windmere Place sits very close to Mobile Bay and just south of the Rock Creek Golf Course in the northern portion of Fairhope. The downtown area is only a few minutes away. Fairhope is quickly gaining recognition as one of the best small towns in the country. Some of the reasons for this are the natural beauty of the area, the top-notch school systems, numerous restaurants and boutiques, parks, and close proximity to both Orange Beach and Gulf Shores, home to some of the best beaches in the world. Windsor Court is just a couple of minutes north of downtown Fairhope and downtown Daphne is about ten minutes away to the north. 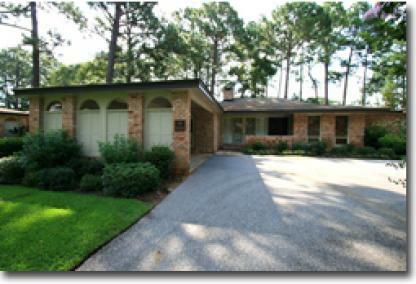 Windsor Court is very close to Mobile Bay and several popular golf courses in the area. The City of Mobile is just across the Bay less than an hour away, as is Orange Beach and Gulf Shores to the south. This area is known for its amazing school system, shops, parks, and a number of other family-friendly activities. 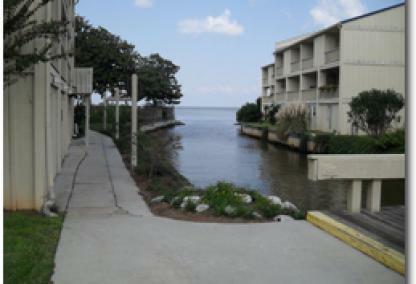 Cambridge Court is very close to Mobile Bay in the northern half of Fairhope. The downtown area is just a few minutes away and there you will find a variety of local restaurants, shops, and parks. The schools in this area have been recognized as some of the best in the state. Weekend trips to the beach are a favorite of residents of Fairhope and, with Orange Beach and Gulf Shores less than an hour away, it's quick and easy to pack everyone into the car and head off to soak up some sun on these award-winning beaches. Gayfer Court is right in the heart of Fairhope, just minutes away from Mobile Bay. Both Lakewood Country Club and Quail Creek Golf Course are a few minutes away to the south and east, respectively. Residents in Gayfer Court enjoy sending their children to some of the best schools in Alabama, a variety of restaurants and shops that can easily be reached by foot or bike, and taking quick trips down to Orange Beach and Gulf Shores, which are both less than an hour south. Battles Trace at the Colony is one of the newest Fairhope neighborhoods. As of 2016, many houses are still under construction and up for grabs. All in all, there are 66 homes in this subdivision. The Lakewood Country Club is very close to Battles Trace, as is Mobile Bay. Downtown Fairhope is a few miles north of Battles Trace, but it only takes a few minutes to get there. Fairhope homes for sale on this page, displayed with price, also feature additional helpful info, like on the Subdivision pages that display real estate for sale in particular subdivisions, not only include the lots and homes for sale, but offer interactive Google maps that allow users access to "Street View" and "Bird's Eye" views for great perspectives of the homes for sale in question, but also the neighborhood and surrounding area. We provide a great deal of aerial video of the Eastern Shore and in particular Fairhope; mostly on our Facebook page, but we also include most of the aerial video on the subdivision page along with other sales info and helpful links. The NAR or National Association of Realtors also just passed new regulations allowing us to publish recent sales information including CLOSED DATE and SOLD PRICE and allows users to sort with several options, like most recently SOLD. To see examples of this, check above this article or visit our Recently SOLD Fairhope homes. Fairhope has experienced tremendous growth in both residential and commercial construction. The city's beautiful scenery and charming atmosphere attracts families, retirees, and young professionals each and every year. According to the U.S. Census, Fairhope has an estimated 19,421 population with a median household income of around $66,000. The city is known for beautiful live oaks lining the roads, jubilees along Mobile Bay, and a strong affinity for fine and creative arts including theatre. Fairhope's historic downtown is its biggest attraction hosting numerous popular events such as the Arts & Crafts Festival, Mardi Gras celebrations, First Friday Artwalks, and farmer's markets drawing in hundreds of people. The area features numerous fine art galleries, clothing boutiques, antique stores, and award-winning restaurants with many serving fresh gulf seafood. Other attractions include Weeks Bay Reserve, Fairhope Museum, and Eastern Shore Art Center. The city also boasts a fantastic school system considered one of the best in Baldwin County. With so many great attributes, it is no wonder Fairhope was named the best small town in the south by Southern Living Magazine. All of the information is deemed reliable, but not guaranteed. 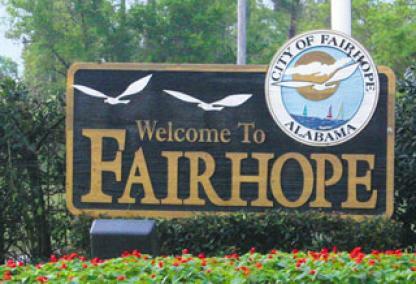 Fairhope, AL is one of the larger communities in our area. This ever-changing market is like any other real estate market. It is always better to contact a Realtor and have them gather info pertaining to Fairhope, AL homes for sale. Please let us know what you are looking for and we will run searches to gather all of the relevant info to help make sure the information provided is accurate and reliable. We have agents that specialize in the Eastern Shore real estate market and are happy to help anytime in a search for the perfect homes for sale in Fairhope, AL.